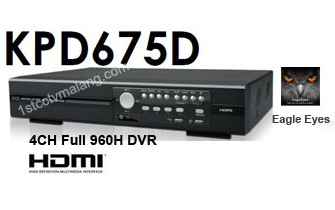 DVR AVTECH KPD675D is a 4 Channel Full 960H DVR compatible with iOS & Android mobile devices and all basic functions you need, such as external alarm devices connection, motion detection and remote independent operation. 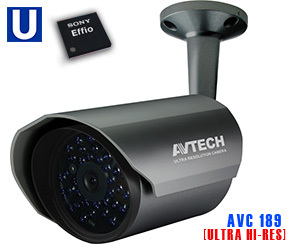 • Sends instant notifications for system events, such as video loss or HDD data removal. • Supports 960H video recording for all channels for evidentiary recording with high quality and clear images. • Full HD video display through HDMI interface. • Compatible with iOS & Android mobile devices. • For web browsers, compatible with Internet Explorer, Mozilla Firefox, Google Chrome & Safari. recording efficiency, and avoid any important scenes to be missed. Electronic Shutter : 1/60 (1/50) to 1/100,000 sec.